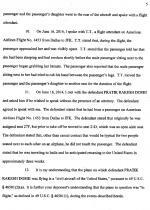 UPDATE: The criminal charge against Doshi was subsequently dismissed by a federal magistrate judge after prosecutors filed a motion seeking to drop the charge. SEPTEMBER 6--A Texas man repeatedly groped a female passenger on a recent flight from Dallas to New York City, according to federal agents who arrested him for the alleged in-flight molestation. 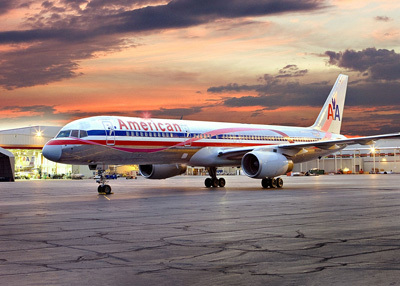 The victim, who was traveling with her daughter, told investigators that she dozed off during the June 16 American Airlines flight. She was awoken when Pratik Doshi began to bump and brush her “left torso and left leg,” according to a U.S. District Court felony complaint. Believing that the contact was inadvertent, the woman continued to rest while leaning forward on her tray table. Doshi, a self-employed medical technician who lives in Plano, was in an aisle seat next to the woman, whose daughter was next to the window. Prior to takeoff, Doshi (seen at right) moved up six rows in the plane to occupy the aisle seat. The woman and her daughter subsequently went to the rear of the aircraft and spoke with a flight attendant, who recounted their conversation for investigators. 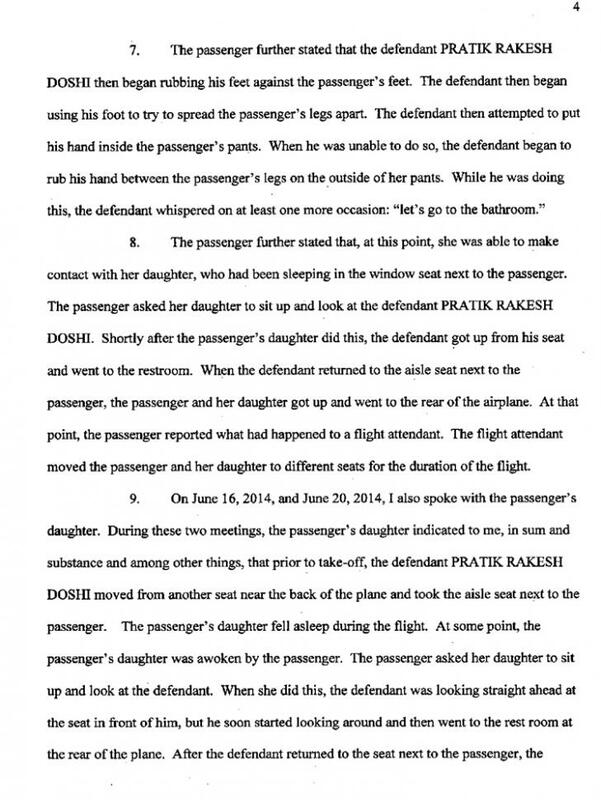 The American Airlines worker recalled that the female passenger was “visibly upset” as she told of Doshi rubbing her breasts and trying to slide his hand between her legs. The flight attendant said that she moved the duo to different seats for the duration of the flight. 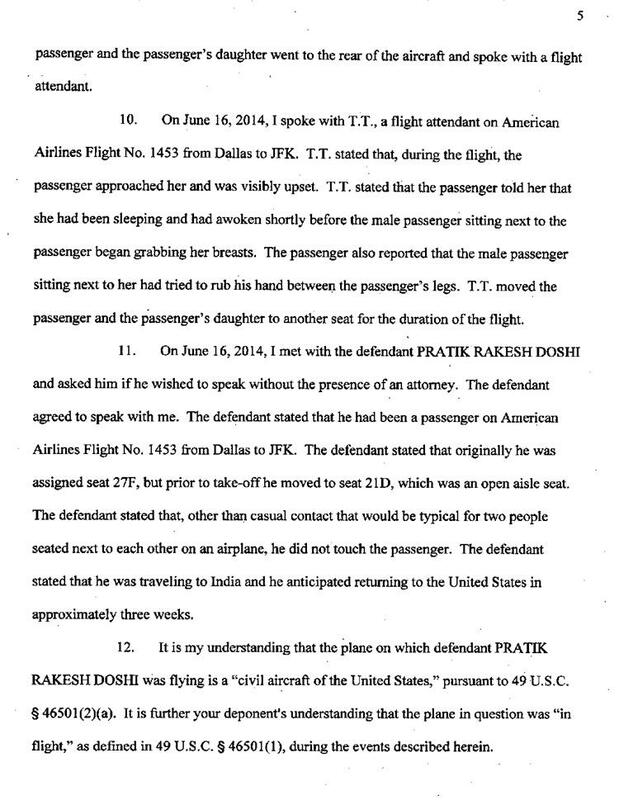 When questioned by a detective after the flight landed, Doshi denied groping the woman, saying that any contact between them would have been “typical for two people seated next to each other on an airplane.” Doshi said that he was en route to India and would return to the U.S. in three weeks.